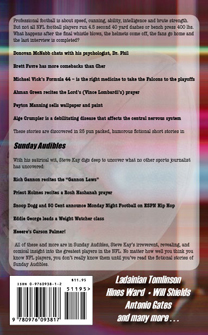 All of these and more are in Sunday Audibles, Steve Kay’s irreverent, revealing, and comical insight into the greatest players in the NFL. 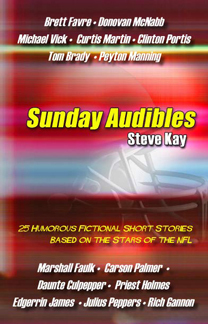 No matter how well you think you know NFL players, you don’t really know them until you’ve read the fictional stories of Sunday Audibles. Steve Kay is from West Bloomfield, Michigan. He is the author of Fantasy Football, Where Do I Sign? He has written articles that have appeared in the Detroit Free Press and Inside Sports. He is an avid sports fan that enjoys golf, racquetball, bowling, fitness and weights. *The names of the athletes are real, the places and events are purely fictional. Any correlation to actual events is coincidental.